In 2017 Dawson Breed Music joined forces with Chaos & Bedlam Management to form a brand new management company called Breed & Bedlam Music. Dawson Breed Music and Chaos & Bedlam Management will still continue, but the two companies have formed a management umbrella that combines experience from live, PR, management and label. Their first signing is a super talented young rock band called Keid. 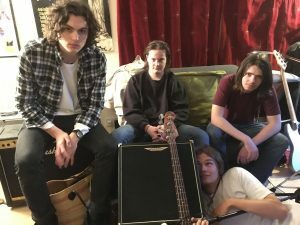 Keid are four lads, Max Palmer, Harry Fowler, Sean Burton and Pete Woodin, who grew up together in Hertfordshire and write their own blistering rock songs which we will be releasing later in the year, but you can read more about Keid on the roster page.